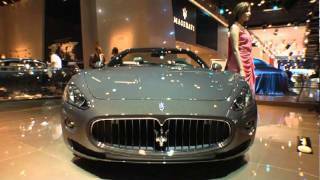 A masterpiece of technology and craftsmanship, the Maserati GranCabrio Fendi will be introduced at the Frankfurt Auto Show in September 2011. 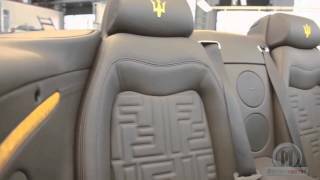 The Maserati GranCabrio Fendi is crafted in the historical Maserati headquarters in Modena, with exclusive materials bespokely created in various colours for this project. 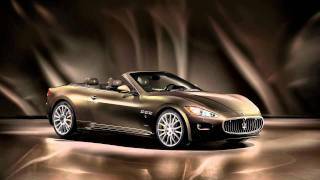 A masterpiece of technology and craftsmanship, the Maserati GranCabrio Fendi will be introduced at the Frankfurt Motor Show in September 2011. Adding a stronger yet elegant character to the GranCabrio is FENDI’s unmistakable double F logo, stitched on the seat, also appearing in the centre of the 20-inch alloy wheels, and the FENDI logo along the rocker panel. Cuoio Romano, Fendi’s precious leather of its Selleria line, has been used for such details as the instrument cluster cover, for the gear lever and for the profile of the floor mats. It also features in the Limited Edition Travel Set of luggage and accessories. The Maserati GranCabrio Fendi represents a perfect marriage between the art of Fatto a Mano (handmade) with the ultimate technology and research of its 4.7-litre V8 engine coupled with automatic transmission, which brings out to life a unique roar, music to the ears of car connoisseurs. Silvia Venturini Fendi’s specially crafted logo seals this collaboration. A silver oval plaque with the engraving of the Maserati Trident, Fendi logo and the 5-digit series number (five being an iconic number for Fendi) is located on the dashboard, in front of the passenger seat, and on both sides of the black cloth folding roof. 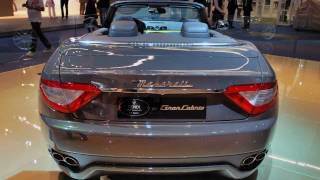 A special black car cover with ton-sur-ton double F logo dresses the Maserati GranCabrio Fendi.